How Far is Royal Skyline? Royal Skyline is a high-end, premium brand homes located amidst posh individual residences, from one of the greatest promoter of personalized dream homes meeting your goals of quality, craftsmanship and expertise. It is positioned perfectly close to the Trichy Main Road yet distancing itself from dust and noise of the speeding vehicles. Royal Skyline is an exclusive residential project excluding commercial mixture with exactly 100 units with an assurance of no further crowding. It is clearly another landmark project that delivers maximum functionality with key destinations such as Railway Station, Airport, Hospital, Market and School within a radius of 5 Kilometres. At Royal Skyline you could enjoy exclusive privacy and safety with promising state-of-the-art special features that include serene landscaped garden, children play area, refreshing swimming pool, fully equipped gymnasium, relaxing indoor games, safe fire fighting equipment, piped gas system and clean reverse osmosis water. 2’x2’ vitrified tiles for the entire flat except toilet. Teak wood paneled entrance door. Other doors will be of imported skin doors with teak wood outer frames. Toilet doors will be of water proof flush doors with pvc sheet on inner surface. UPVC or teak wood frames with teak wood glass shutters. Three phase service with ELCB and modular switches. Electrical outlets for A/C in all bed rooms, geyzer in toilets, washing machine, fridge, mixie, grinder and oven. Outlets for TV in living hall and one bedroom. Outlets for telephone in living hall and all bedrooms. Intercom provision in living hall. Ivory Colour EWC with Jaquar or Marc or equivalent fittings. Anti-Skid ceramic tiles flooring and glazed tiles for walls upto 7’ height. Automatic door 8 passenger lift. A standby genset to serve lift, pumps and common lights and two points in each flat. Interior with acrylic emulsion over full putty, main door polished and other doors painted with synthetic enamel paint with full putty. Royal Shelter, an ISO 9001:2008 TVE certified company accredited by ANAS-BNR is one of the well-known residential construction companies in the city. Royal Shelter has dedicated themselves to building homes with an aesthetic beauty which are customer-centric. Specialized in creating world-class residential apartments with the best quality. Driven by customer-centric pleasure and the strong relationship with client Royal Shelter has grown as one of the best construction company in Trichy, Coimbatore, and Karur. Building people live better lives it’s what we are and what we do. It is the very heart and soul of RAYOL SHELTER, the greatest promoter of personalized dream homes. Each project is built with high quality and creativity with enthralling beauty, amazing exterior, and Interior design which are great value for money. Royal Shelter is directed by qualified architect and structural engineer P. Ravichandran. 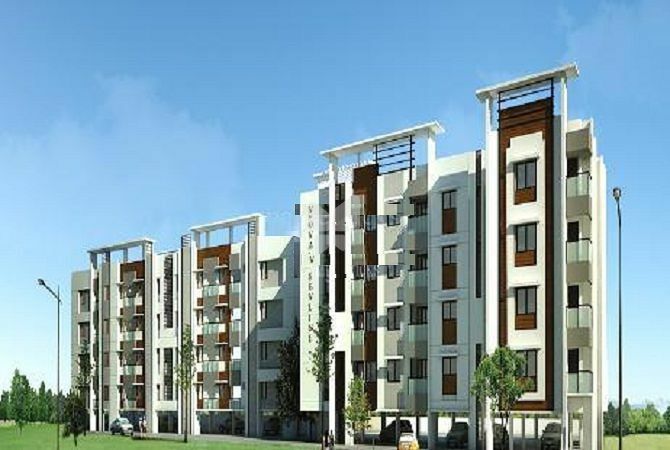 Royal Vesta is an example of excellent work done by the Royal Shelter, it is located in Vayalur Road, Trichy. This project offers apartments. With creativity, new age architecture and the quality standards company has completed many projects till now, some of them are Royal Gm Palace, Royal Woods, Royal Fantasy in Trichy, Royal Srishti and Royal GM Residency in Chennai, ROYAL Exotic, Royal Sheraton, Royal Shelter Skyline in Coimbatore and the list goes on. Till now the company has completed 25 Projects, Royal shelter has provided happiness of owning a home to 1000 happy families. The company has a group of dedicated staff who have involved them in providing quality homes to the customers. Royal Shelter believes in delivering best and personalized services and care to each of esteemed customers.